Mr. McCubbrey attended Michigan State University and Central Michigan University, graduating in 1973 with a Bachelor of Science degree in Business Administration. He graduated from Wayne State University Law School in 1978 with a Juris Doctor degree. While in law school, Mr. McCubbrey worked at Michigan National Bank (now Bank of America) first as a Branch Manager and then as a Trust Officer. Mr. McCubbrey began his career as a defense attorney specializing in workers’ disability compensation with Aetna Casualty and Surety Company in 1980. In 1981, he joined Robert A. Kluczynski and Craig M. Zamler in private practice defending insurance companies and self-insured employers in workers’ disability compensation matters. 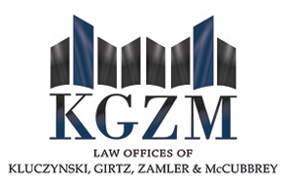 One year later, Mr. McCubbrey became a shareholder in the law firm now known as Kluczynski, Girtz, Zamler & McCubbrey, P.C. He specializes in workers’ disability compensation defense and subrogation and represents insurance companies and self-insured employers throughout the state of Michigan. 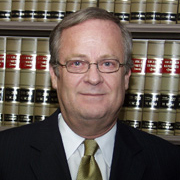 Mr. McCubbrey is a member of the State Bar of Michigan and Michigan Self-Insurers’ Association. He is rated by Martindale-Hubbell Peer Review Ratings, AV, which is at the highest level of professional excellence.